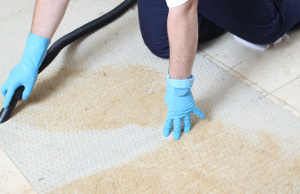 Uxbridge UB Rug Cleaning Experts | RDA Cleaning & Maintenance Ltd.
RDA Cleaning & Maintenance Ltd. has proudly served the people and business owners for over 8 years now. We provide our growing number of customers with high-quality and affordable deep rug cleaning. We use only the highest quality, safest and environmentally friendly cleaning solutions and stain removal products. Our rug cleaners Uxbridge UB are experienced and trained to safely clean all kind of rugs - from the least expensive to the antique and high end ones. Remember, that our home and office rug cleaning service is fully insured. Booking our professional rug cleaning service in Uxbridge UB will take you only a couple of minutes. Our customer care service is available 24/7, so just call 020 3404 1646 or send us an online booking request. You will receive written confirmation for your booking in up to 2 hours. We offer same day cleaning for any day of the year. We are happy to provide our services also on weekends and bank holidays. There is no deposit for booking any of our services. Our prices are fixed, affordable and without hidden fees.